Mårten Görnerup is the CEO of Hybrit, a joint venture involving Swedish steelmaker SSAB, power utility Vattenfall and LKAB, Europe’s largest iron ore producer. 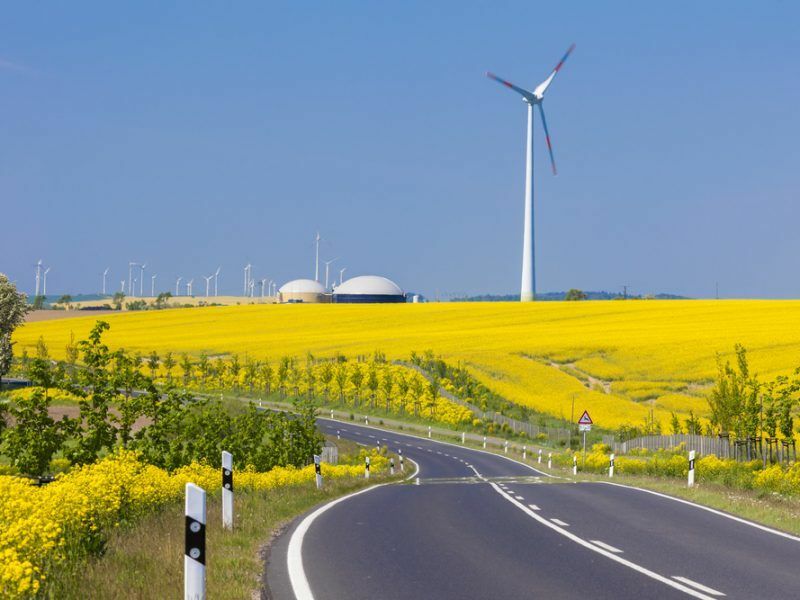 He spoke to EURACTIV’s energy and environment editor, Frédéric Simon. Hybrit has developed a completely fossil-free value chain for steel production based on hydrogen produced from renewable electricity. This process will only emit water vapour instead of carbon dioxide. 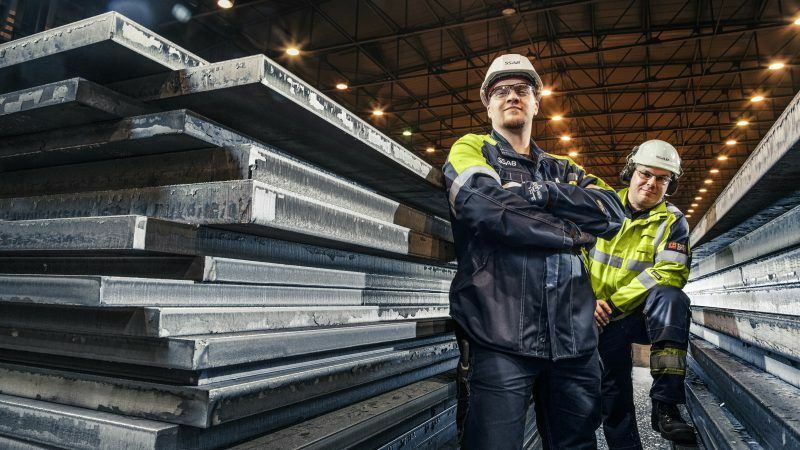 Hybrit aims to eventually “totally replace” Sweden’s iron production, cutting the country’s CO2 emissions by 10%. Production costs are currently 20 to 30% higher than normal steel production. But the cost gap “will shrink” as carbon prices go up and green electricity prices fall. “Too early” to say whether this can be replicated across Europe or globally. 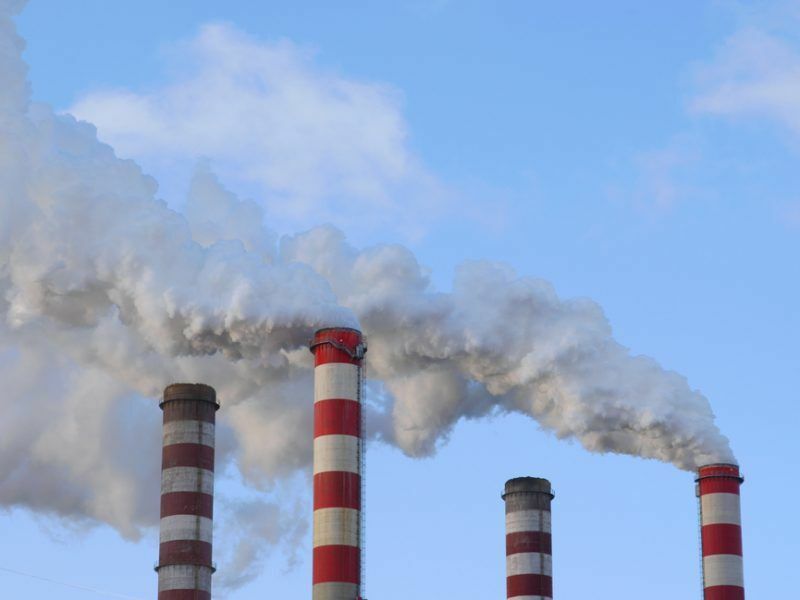 Hybrit has recently announced plans to build a pilot steel plant that would produce steel without carbon dioxide emissions. How does that work? The solution that we have opted for is to have a completely fossil-free value chain for steel production. The aim is to replace imported coke and coal coming from oversees and instead use hydrogen produced from fossil-free electricity. Hydrogen will then be used as the main reductant to reduce iron ore and produce metallic iron. And this process will only emit water vapour instead of carbon dioxide. What’s your timeline to achieve that? We just concluded our pre-feasibility study. Based on the result, we decided to go ahead with the pilot phase and investigated a suitable location for the pilot facility. We decided to locate it in the Northern town of Luleå in Sweden, nearby iron ore fields. We’ve now completed a feasibility study on the pilot plant. This means we can start work and excavation already this summer. Then, we will continue with the design of the pilot facilities, with the aim of having the pilot plant up and running by 2020. The plan is to use the pilot facility for a few years, up to 2024. The pilot plant is used more as an experimental tool – you can run specific experimental campaigns for up to two months. Then you evaluate, tweak a few settings, and run more experiments to find the optimum conditions for reduction. We hope that by 2024, we’ll have a pretty good grip on how this process should take place and start to plan for the next step, which is a demonstration plant. The main difference is that the demonstration plant will run as an industrial facility operating 24/7 for months. What kind of output capacity are you aiming for? The pilot plant capacity is roughly one to two tonnes per hour of direct-reduced iron (DRI). And the demonstration plant will be more industrial-size. We believe it will be somewhere around half a million tonnes per year. And it will run as a normal factory. You said the hydrogen will come from green electricity. What are the implications in terms of costs, with potential fluctuations in prices of renewable electricity? In the north of Sweden, we have an excess of electricity in general. And as we see it, we should totally replace the iron production in Sweden by using this new technology. We would reduce the CO2 emissions of Sweden by 10%. In terms of electricity needs, we would need roughly 15 TWh per year, which is in the same range as the amount of electricity that Sweden exports today. So the electricity is there. And especially in the North, there is an excess. It is energy-intensive, yes. In the traditional carbon-based steel production, you use carbon as the energy and reductant. But if you want to eliminate CO2, you have to do something else, and we believe hydrogen is the best solution at the moment. Now, of course, it comes at a cost. And it requires electricity to supply the energy needed for the chemical reaction. It therefore depends on the cost of electricity. Do you need government subsidies to make this worthwhile? In general, the transition itself – which involves converting the value chain in different parts of society – is of course associated with tremendous costs. When it comes to operating costs, we have done a feasibility study. It shows that, if we were to build two plants today in the North of Sweden – one based on the traditional blast furnace route and one based on our new hydrogen technology –, the hydrogen plant would today operate at 20 to 30% higher costs. Can you give a figure in euros? Internally, we have used a lot of figures but we are not allowed to release them. But I could say it like this: the main costs today are coke and coal. And the electricity is a very large cost in the new concept. But other elements like the cost of carbon on the ETS should also be factored in. And we know that all of these are most likely to work in our favour in the future. The world will be very different by the time our demonstration plant comes online in the late ‘20s, and our production plants are added in the ‘30s and ‘40s. By then, industrial companies will have to pay most or all of the real costs of their greenhouse gas pollution, and renewable energy will be cheaper and far more abundant. So we feel confident fossil-free steel will be very competitive. And in terms of support, what did you get? So far, we’ve been supported by the Swedish energy agency, which has co-financed the pre-feasibility study and now also the initial study for the pilot plant. In terms of money, that is still relatively small compared to the final amount – about 50% for the pre-feasibility study, or about €700,000. For the last study, we were given around €500,000. They also supported the R&D programme that we initiated last summer, which is mainly targeting very specific research questions and is performed mainly by Swedish universities and research institutes. And that has a total budget of about €10 million, 50% of which is covered by the Swedish state. Overall, you said the operating cost of the new facility was about 20-30% higher than a normal blast-furnace plant. So how do you make up for the difference? We have done some scenarios for the future. And in most of them, we believe that this difference will shrink. If you look at the way coke and coal prices fluctuate today, if you look at the projected cost of CO2 on the ETS and the cost of fossil-free electricity, I wouldn’t say the price difference will entirely disappear, but it will be very close. Do you expect the project to benefit from special regulatory treatment or derogations from Sweden or the EU? Of course, the costs are one thing. But there also needs to be a market for this fossil-free steel – and preferably a market which is willing to pay a premium. And whether it requires regulatory intervention or just market forces, I cannot tell at this stage. I understand it’s still early stages. But do you believe this can be replicated across the entire steel industry? Or is this something that will remain niche? In the long run, I believe it will spread. Of course, the technology requires large amounts of cheap fossil-free electricity, which today is not available in all parts of the world. But maybe we should also change perspective. Today, the steel industry operates blast furnaces in all parts of the world and Europe. Perhaps in the future, we should start producing iron in places where there is an abundance of fossil-free electricity. And then ship the iron – which then becomes the energy carrier – into the areas where steel plants are located. Sweden is a sweet spot, I would say, because we have this abundance of fossil-free electricity in the North. We also have an iron ore mining company and the R&D facilities located in the Luleå iron ore fields up North. There is also a steelmaking site, which is a third party in our joint venture. Have projections been made in terms of possibly rolling out this technology across Europe or even globally? Or is it too early? I would say it’s still too early. Of course, we have started to discuss this with our European counterparts. But there are other initiatives going on. And at some point, we should either try to find common ground or figure out which are the most realistic alternatives for the future. What are the main obstacles you need to overcome in order to make the pilot plant and then the demonstration plant a success? On the technical side, there are no major obstacles in principle. But of course, this is a rather long value chain, with many interconnected processes. And when you add up small uncertainties, there can be a greater risk at the end. The future business case is an uncertainty obviously, but still we think it’s doable. And finally, the cost of the transition will have to be carried as well. The pilot phase is not cheap and the demonstration phase will be even more expensive, so there needs to be financing in place. And we rely on the government to share these costs with us. And the Swedish government has expressed their willingness to do that? They have been extremely supportive so far. But there is nothing signed yet regarding the major costs coming up. We have high hopes and we also hope support will come from Europe. In any form. Maybe R&D support or a share of innovation funds coming up. You mean Horizon 2020 or its successor, FP9? To some extent, maybe. But those programmes are typically quite broad and require consortiums with a number of actors. And for such a project, you need a more focused approach, where you allow a smaller consortium to get a larger piece of the pie in order to go all the way to the demonstration phase. In the longer run, what kind of regulatory regime do you need to have in place in Europe in order to make such a technology economically viable? A high price of carbon is probably part of the answer, I guess, but maybe there are other things? A high enough price of carbon on the ETS would be the main requirement to make this work. This would certainly help level the playing field with fossil-intensive steelmaking. You could also think of pull effects on the market, for instance, if governments stipulate that the steel they purchase needs to be fossil-free. But I would say it’s still too early to say. Who would know how much the milk will cost in 2025? Does the recent reform of the ETS appear sufficient in that respect? [Laughs] I know there are people saying it went in the right direction and others saying it didn’t go far enough. At this stage, I couldn’t say. I’m happy that it seems to be going in the right direction. so over to you member states – a solution to CO2 emissions from steel – not that I expect you to ……….take action. Nah, better to do nothing as you have done for 20 odd years.